Teen Titans Tower. . HD Wallpaper and background images in the Teen Titans - les jeunes titans club tagged: teen titan titans tower. 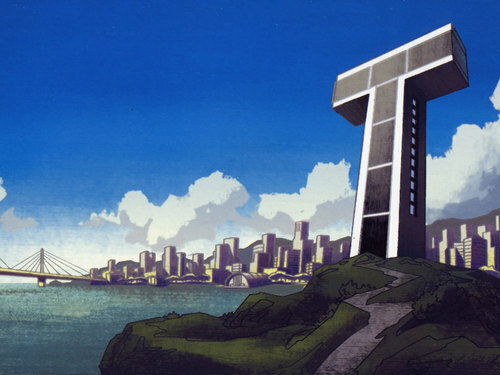 This Teen Titans - les jeunes titans wallpaper contains wilaya ya biashara, downtown, and biashara wilaya. There might also be skyscraper, maghorofa, nyuklia reactor, mtambo huo, reactor ya nyuklia, reactor, and carriageway.